Partial classic car and truck restoration services from Wilson Auto Repair are perfect for those that love to drive their cars without participating in car shows. 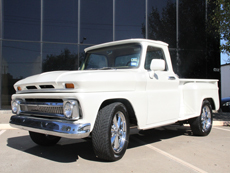 We work on any area of interest to bring your classic car or classic truck into the condition you desire. 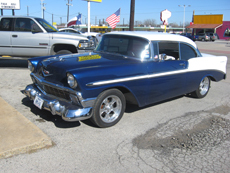 We're based in Garland, Texas but work on classic vehicles from throughout the country. Call us anytime at (972) 271-3579. We've been helping people just like you since 1986. You can also send us an email and we'll be in touch with you. Classic car and classic truck restoration specialists – people throughout the country bring their vehicles to use for restoration and repair. Our A.S.E. 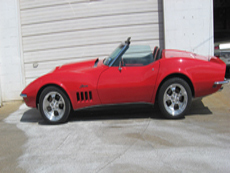 certified restoration craftsmen treat each vehicle as if it were their own. We're fanatics about quality and safety – we do the job right the first time, using only quality parts and practices. We focus on your safety the same way your mother would. We do great work. Plus, we're affordable and are eager to serve you. Give us a call and see how we can help you. Call us at (972) 271-3579.